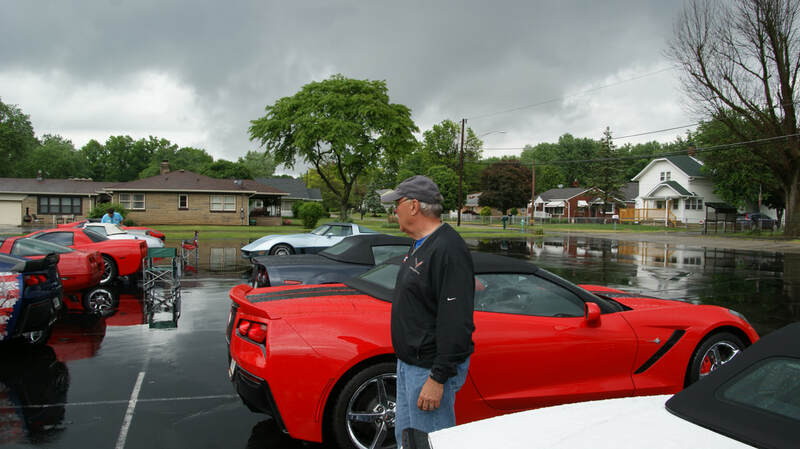 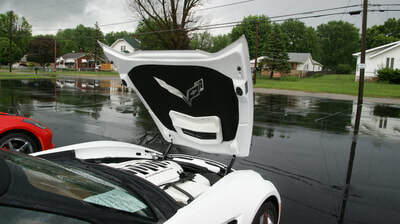 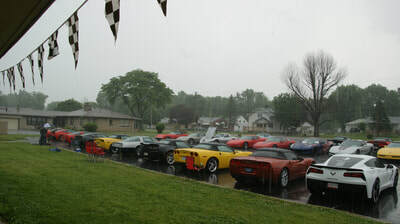 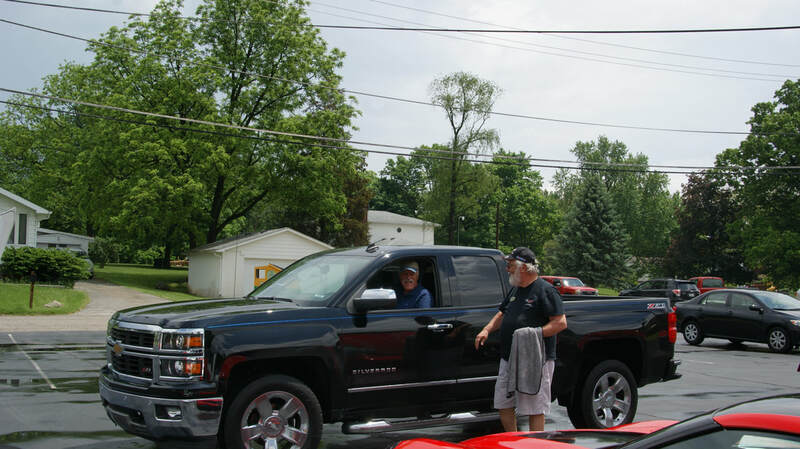 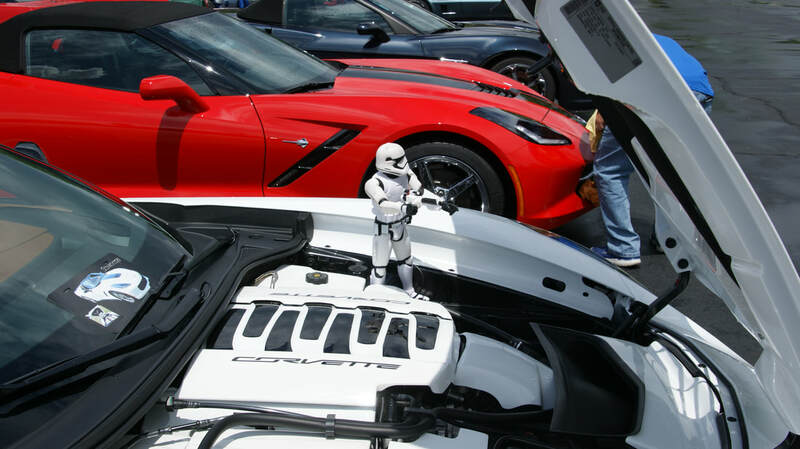 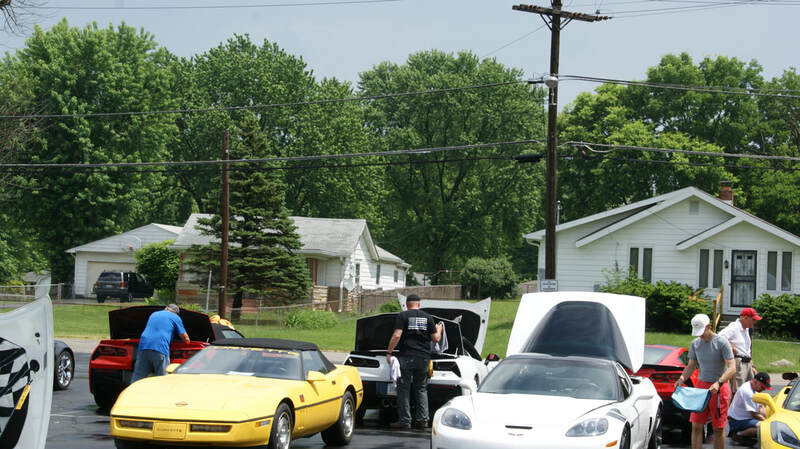 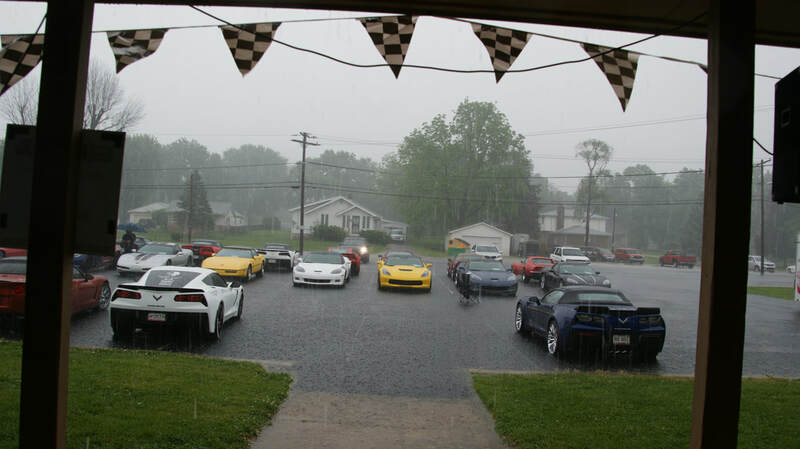 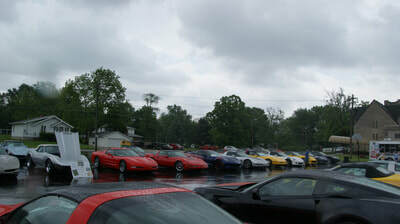 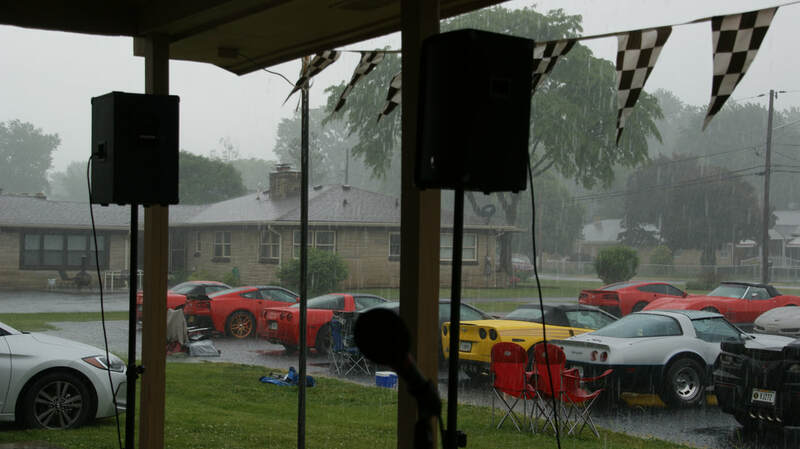 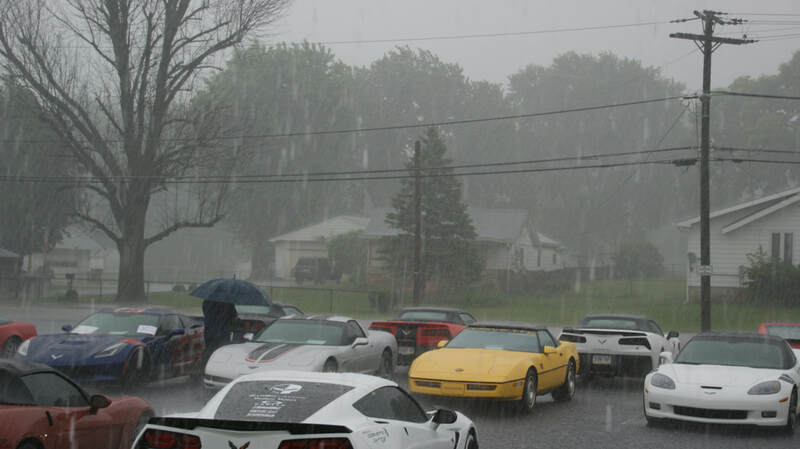 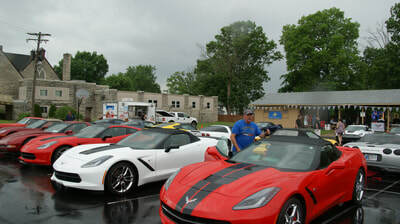 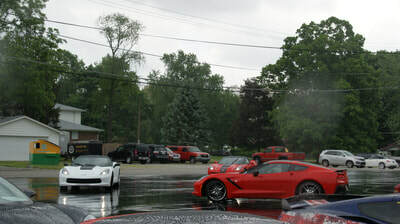 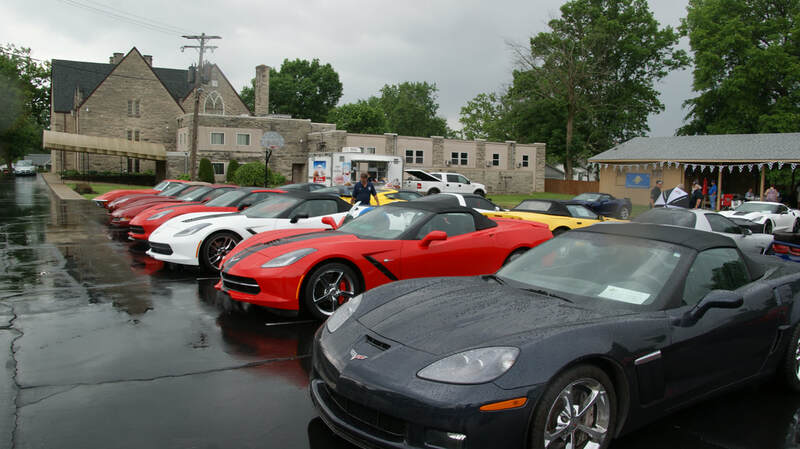 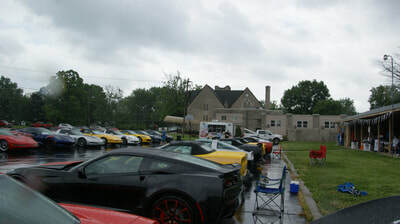 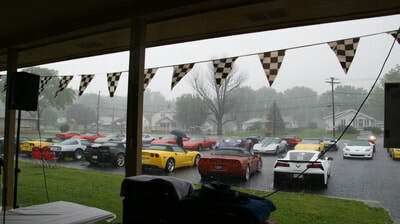 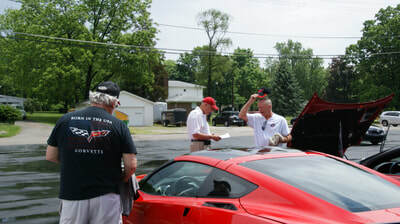 With weather not cooperating for this year's Hoosier Corvette Club Spring Fling date the turn out was a bit smaller with 28 Corvettes coming in for the annual event. 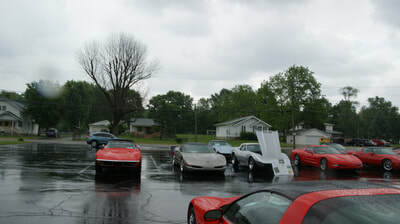 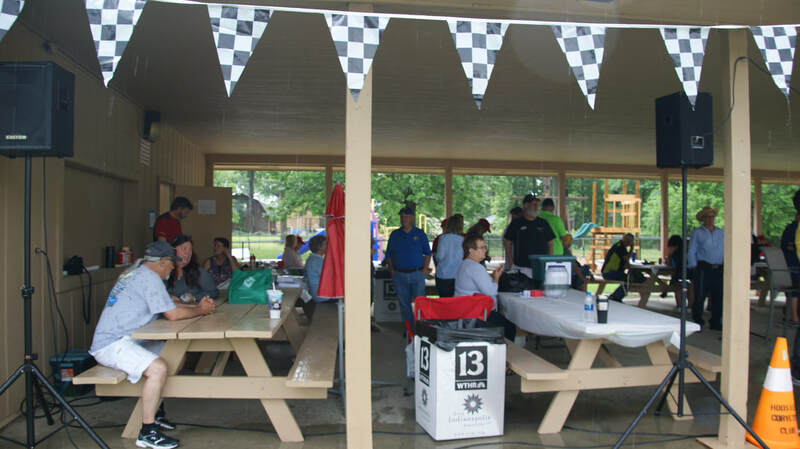 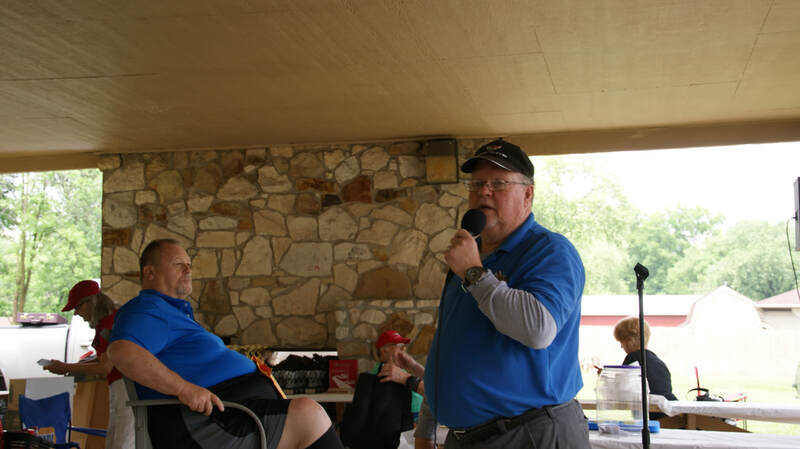 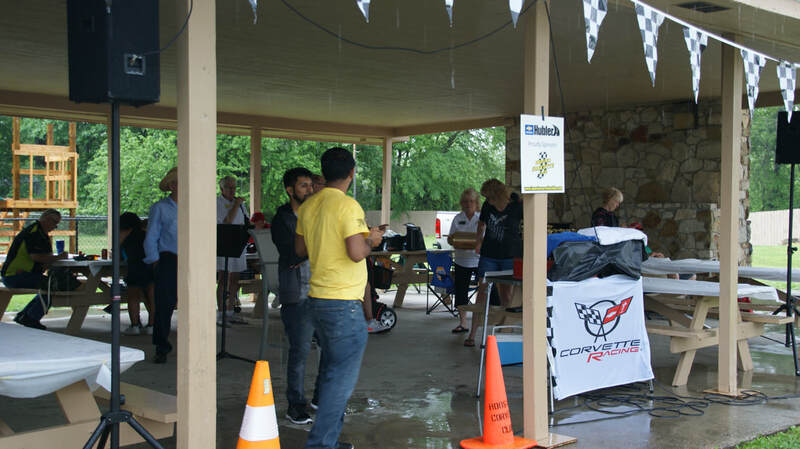 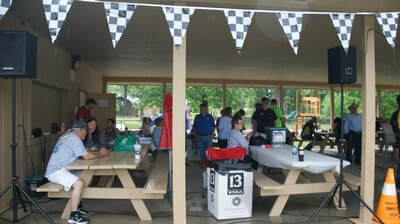 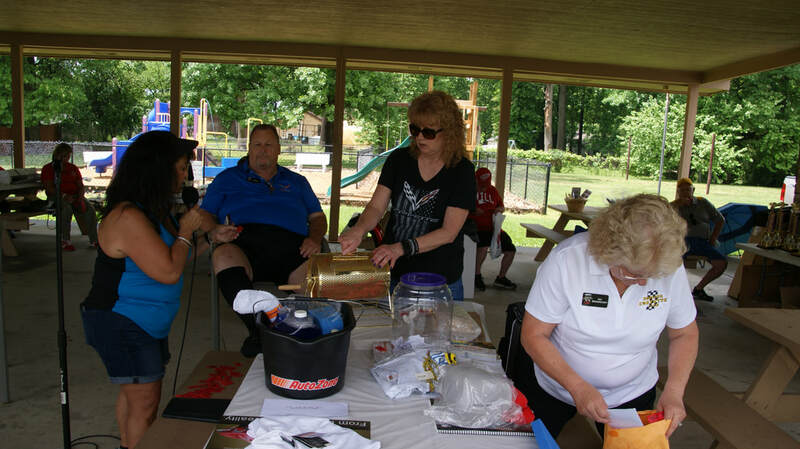 Even with the eventual down pour the afternoon was a lot of fun with drawings for the many items for those that purchased raffle tickets to get a chance at. 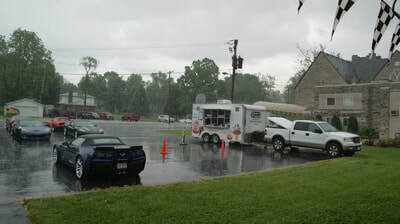 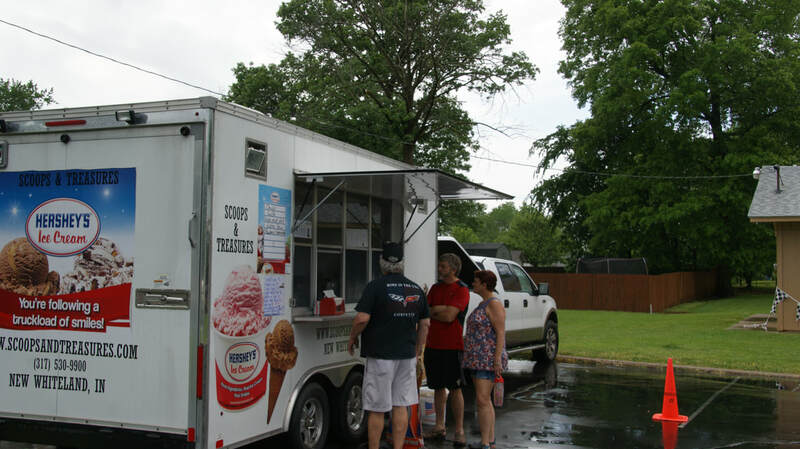 Once the rain stopped the food truck also got a number of customers. 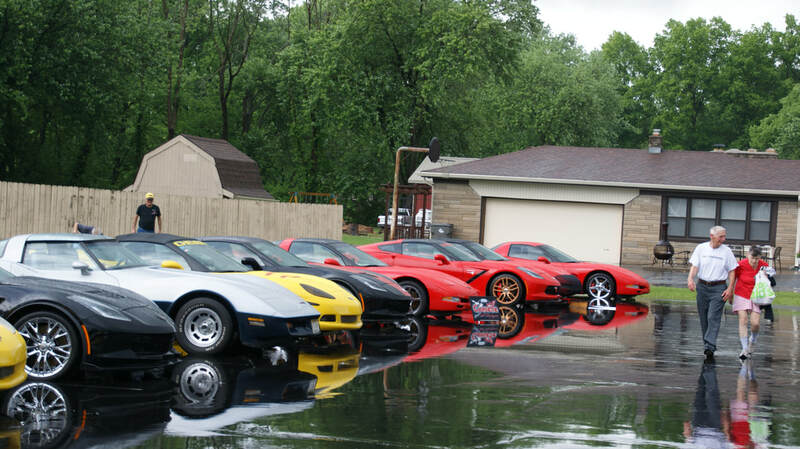 A quick Corvette drying took place as the parking lot running stream drained away and dried up. Trophies were presented a bit early in the afternoon as another round of rain was coming in.